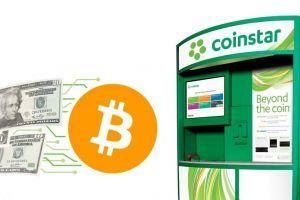 Coinstar, the company known for its coin-counting machines found in malls and supermarkets, has announced a partnership with bitcoin ATM operator Coinme to enable bitcoin-buying for cash at its kiosks across the US. 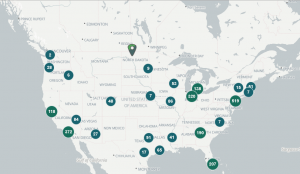 Coinstar owns more than 20,000 coin-counting machines in nine countries around the world, but bitcoin purchases will only be available at selected kiosks in the US for now. Further, purchases can only be made with US dollar bills, in any amount up to USD 2,500 for each 24-hour period. Coins and foreign currency are not accepted at this time, according to a statement published by Coinstar. Once the money is deposited into the machine, the customer will receive a voucher with a bitcoin redemption code. The customer will then need to go to Coinme’s website to open an account and redeem the bitcoin. “Bitcoin is now accessible at your local grocery store via Coinstar kiosks, and this offering will make it even easier for consumers to participate in this dynamic new economy,” Coinme’s co-founder Neil Bergquist said in a comment. Unfortunately, buying bitcoin for cash remains a fairly expensive option. Although the two companies do not go into detail on this subject, Coinme’s website reveals that there is a 4% fee to use the new service. Compared to the average buying fee at bitcoin ATMs in 2018, however, Coinme’s fee is certainly in the lower end of the spectrum. As Cryptonews.com reported last year, the average buy fee at Bitcoin ATM’s stood at 9.13%, according to Coinatmradar.com. That compares with Coinbase’s 1.49% fee for US users. These fees obviously come on top of the spread, or the difference between the buy and sell price of bitcoin on the exchange that is used. In other words, bitcoin ATMs may have a role in spreading awareness to a new audience, but it certainly doesn’t come cheap. Meanwhile, as reported in November, French fintech company Keplerk made it possible for tobacco shop customers in France to buy bitcoins. The initiative affects 24,000 tobacco shops in the country where bitcoins are offered as vouchers, which can be cashed in via Keplerk’s wallet. The company takes a 7% cut on every transaction as commission fees.